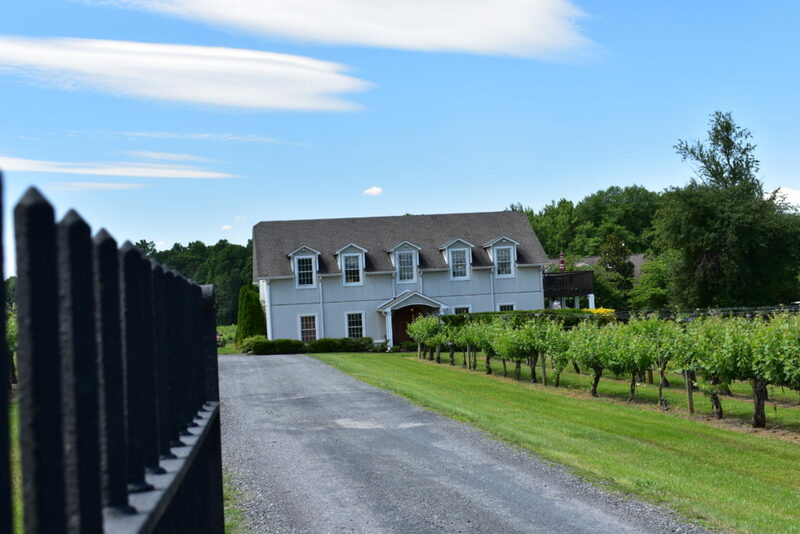 There is nothing better than going somewhere with a plan that is totally flexible, especially if it means you end up at a winery. On a Saturday a few months ago my husband and I were on our way to Shenandoah National Park. This was our second visit to the park within a week, mainly because we had a pass that was good for seven days. Can’t let a perfectly good park pass go to waste! 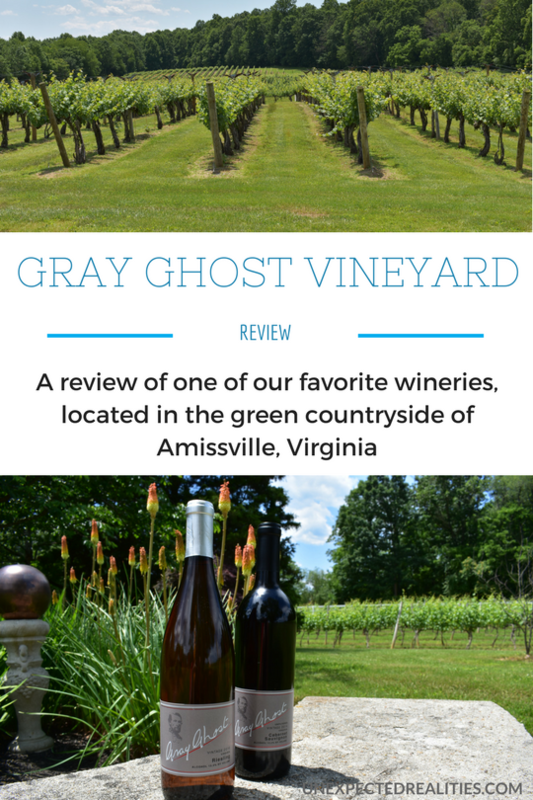 While driving along 211, we passed Gray Ghost Vineyards shortly before entering the town of Amissville, Virginia. 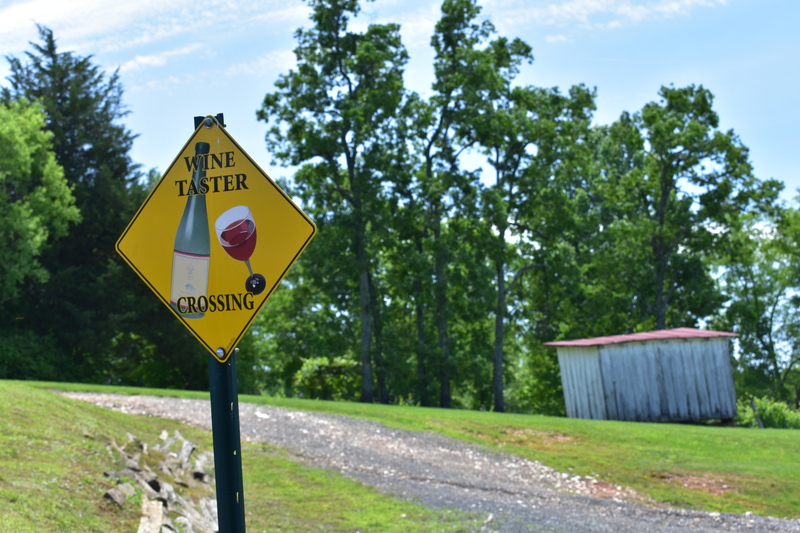 We had already passed a few wineries along the way, but the attractiveness of Gray Ghost from the road made me interested enough to delay getting to our destination. It was only 11:30, but there really is no time that is too early for wine. Can you see why I was tempted to stop? The gate opens to a drive lined with vines that leads to a beautifully restored barn as the tasting room. It didn’t hurt that it was a perfect summer day. And, hiking can always happen later in the day. 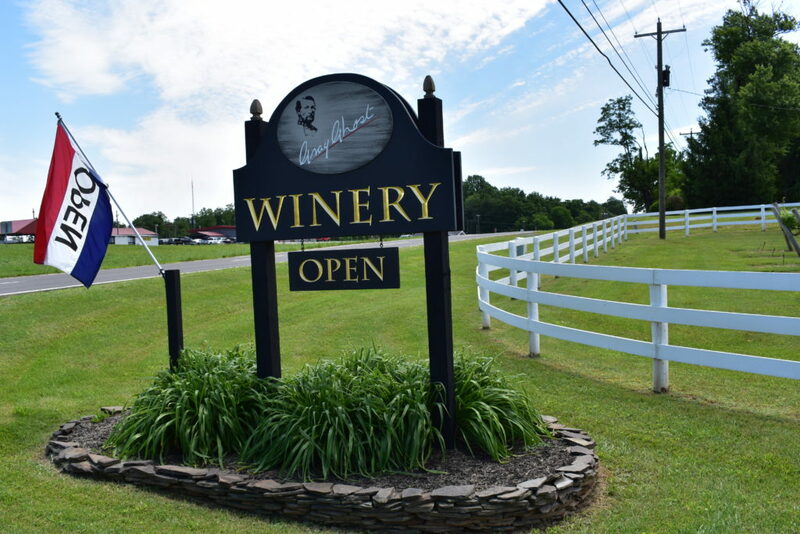 We weren’t on a strict schedule, so we were off to try a new Virginia winery. Gray Ghost has an interesting history. The winery is named after John Mosby, a Colonel in the Confederate army during the Civil War. 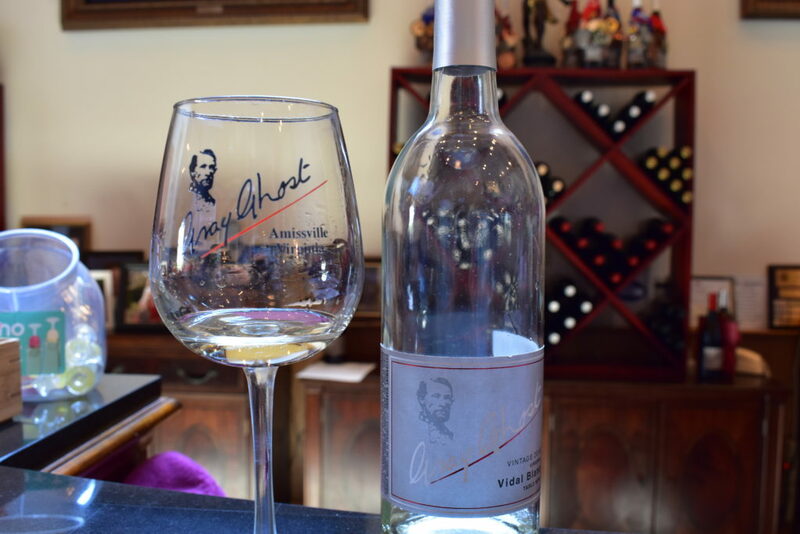 Due to Mosby’s skill at being able to appear and disappear and capture soldiers and supplies from the opposing army, he attained the nickname of “Gray Ghost.” You will see memorabilia from the Civil War era sprinkled all throughout the tasting room area. 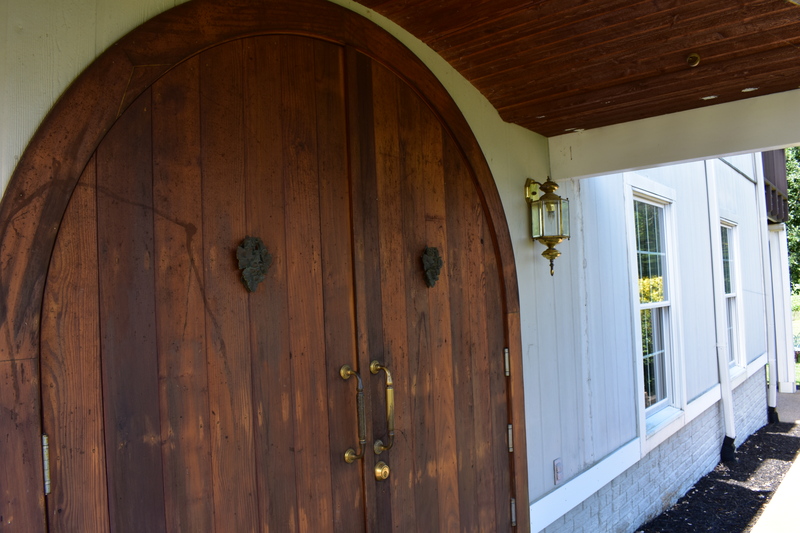 By the way, I am kind of in love with these doors. 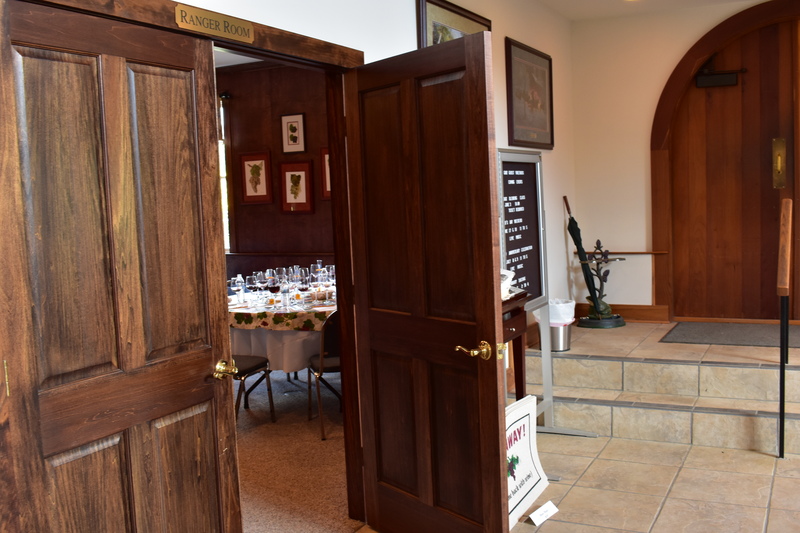 The first thing you will notice when entering the tasting room is the giant vaulted ceiling. 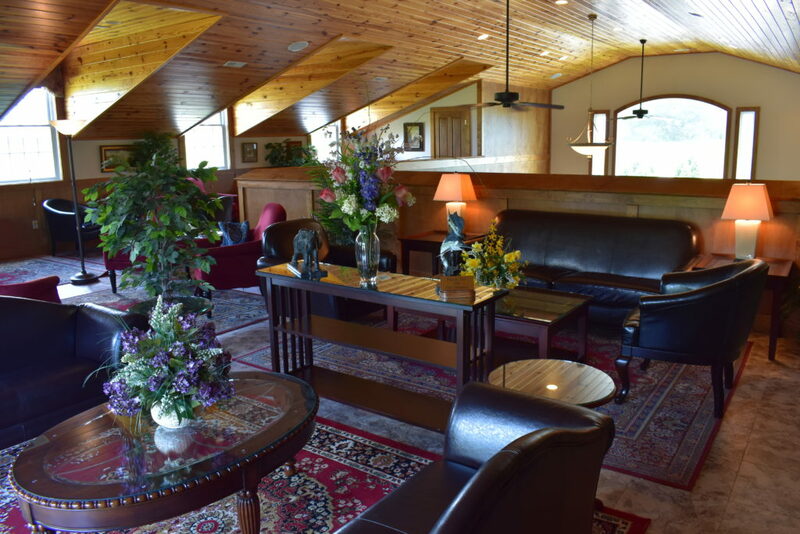 The tasting room is a renovated 13 stall horse barn, which accounts for the shape and the dramatic tall ceilings. The style of the dark, heavy furniture seems to give a nod of recognition to the era in which their celebrated Civil War hero was from. 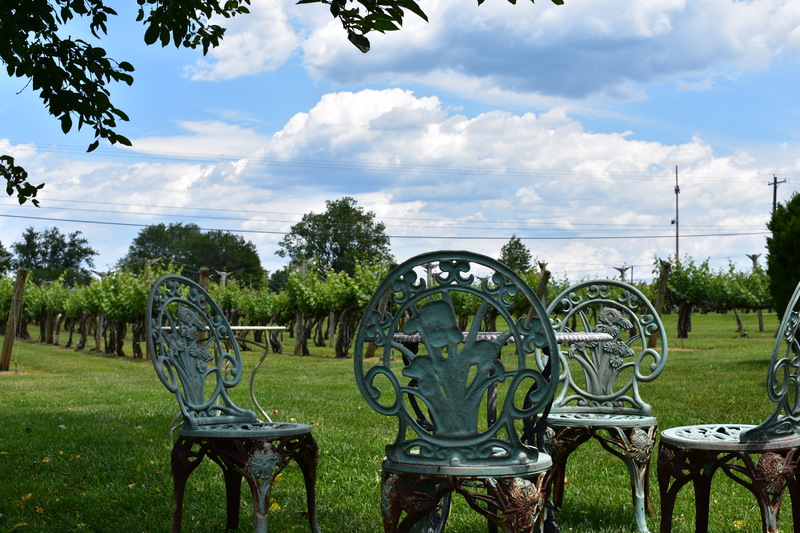 Gray Ghost is one of the few wineries in Virginia who can actually boast longevity. The owners, Cheryl and Al Kellert, studied wine making before moving to Virginia and grew their own grapes in their backyard outside of their home in Washington, DC. 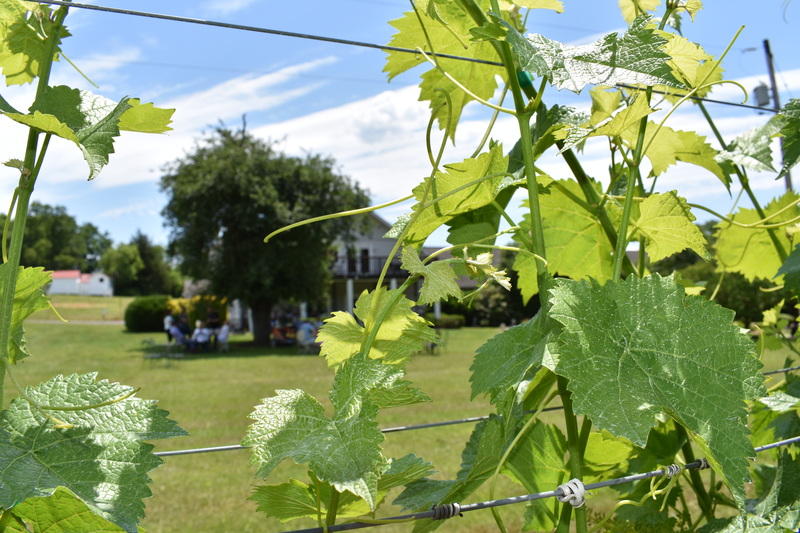 They eventually moved to their current location in Amissville in 1986, bringing all of their vines with them. The Virginia wine region is still relatively young, so to be able to include grapes in their vintages that are grown on vines more than 30 years old is a rare accomplishment in this area. 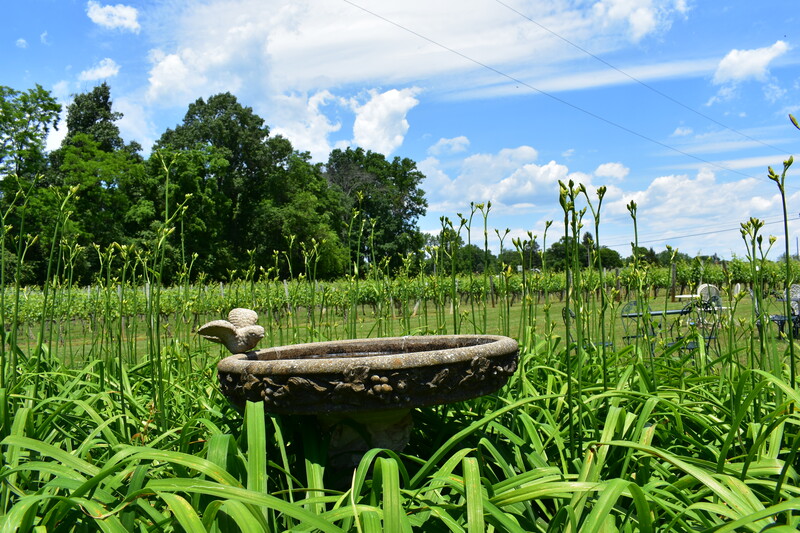 The Kellerts today have 13 acres of vines and grow over seven different grape varietals. 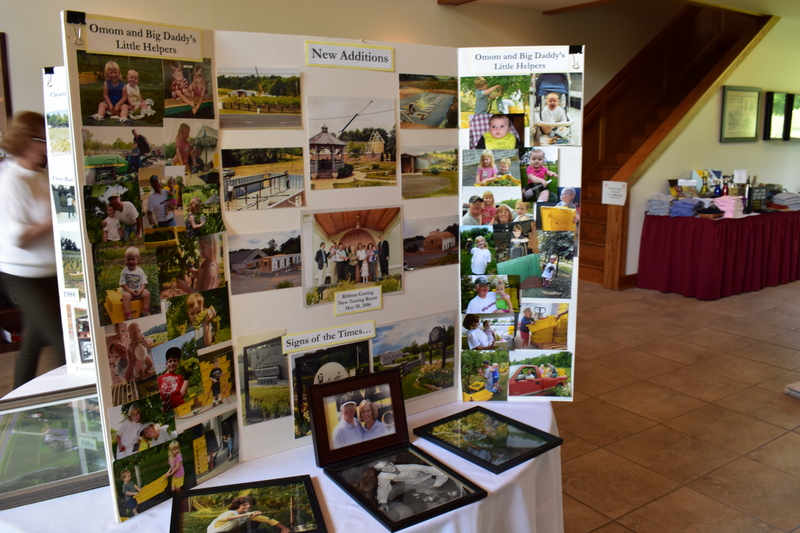 In the middle of the tasting room, there is a collage of the history of the Kellert family and the developments of the vineyard. The day we were there one of the owners, Al, was leading a bordeaux wine making class. We were pretty jealous that we couldn’t join, especially since they only hold the event once a year! It has been marked on our calendars so we can hopefully attend the next one. Now onto the best part of visiting a new winery…getting to drink the wine! Since there was a group of people about to start the bordeaux wine making class, there was a slight hold up to start a tasting, but we did not mind as it gave us the opportunity to poke around the tasting room. Within ten minutes we were brought up to one of three open bars for a tasting. The tasting at Gray Ghost is $5/person and includes a tasting of 11 wines. 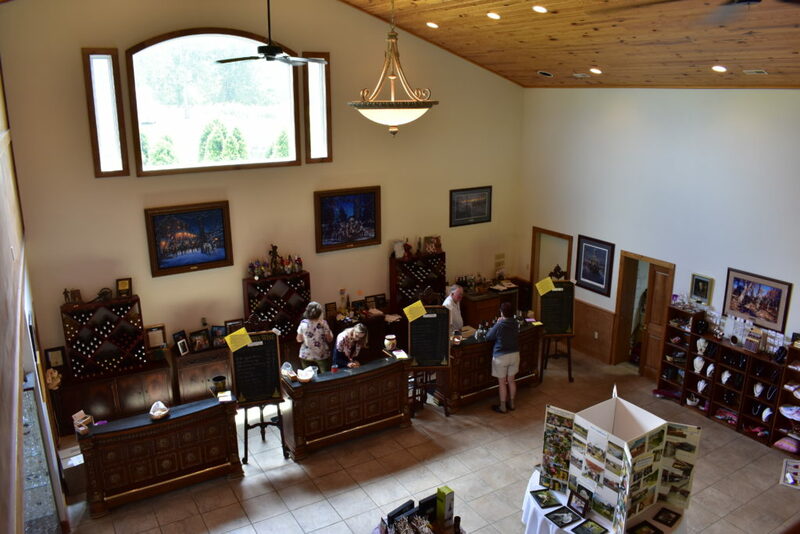 The pours for the tasting were adequate — you were able to have at least three generous sips in order to actually experience the wine. We never felt rushed, and our tasting associate (wrote down her name somewhere and have since lost it!) gave us the rundown of each wine without oversharing and gave us the opportunity to ask questions if we wanted. 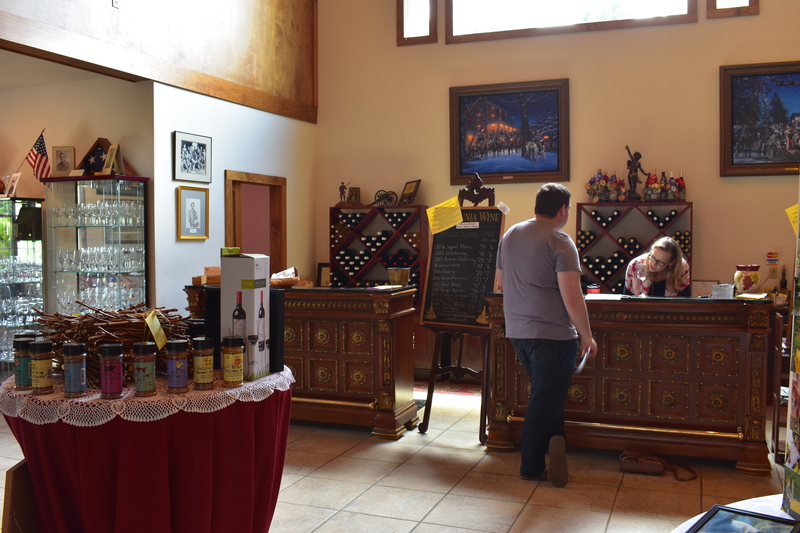 Having an informed tasting where we were able to try a considerable amount of the vineyard’s offerings made it easier for us to narrow down our choices and appreciate what the winery had to offer. 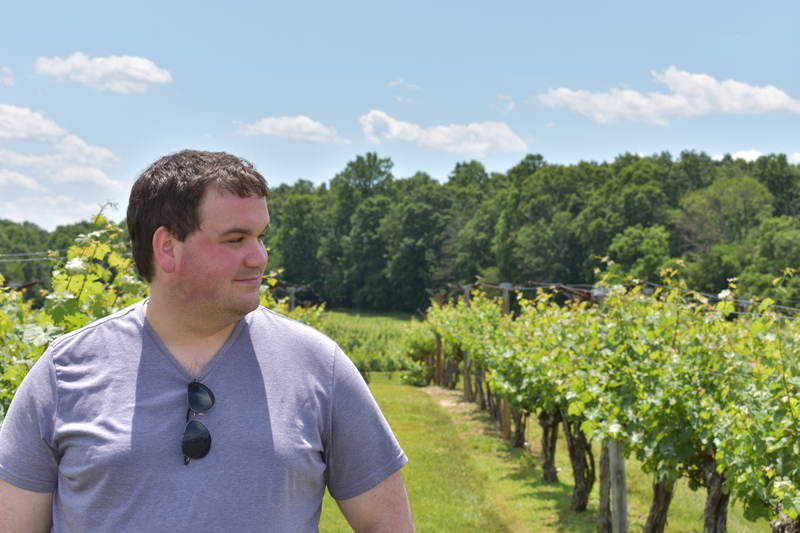 I won’t go over the whole wine tasting list, but here are the wines that stood out to us the most. 2014 Reserve Chardonnay: Everything you want in an oaky, buttery Chardonnay that they somehow have done better than the Californians. 2016 Riesling: This was a delightful Riesling, citrusy and dry, like they should be! 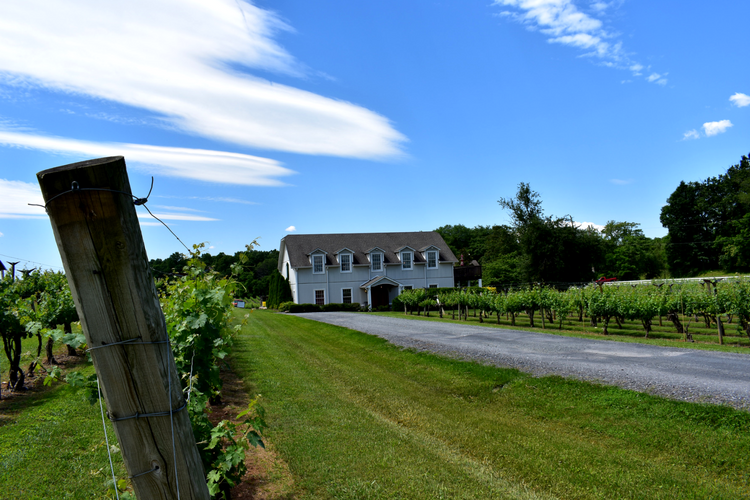 It’s difficult to find vineyards that grow Riesling in Virginia, and we were delightfully surprised by this wine. Ever since we went to the home of Riesling in the Mosel Valley of Germany, we have had a new appreciation for dry and off-dry Rieslings (none of that sweet crap). I have a feeling we will be back to buy another bottle of this in the future. 2015 Vidal Blanc: Another version of a wine that most people associate with sweet or dessert wines, Gray Ghost does a beautiful expression of Vidal Blanc in this dry white wine that would pair perfectly with Thai food. 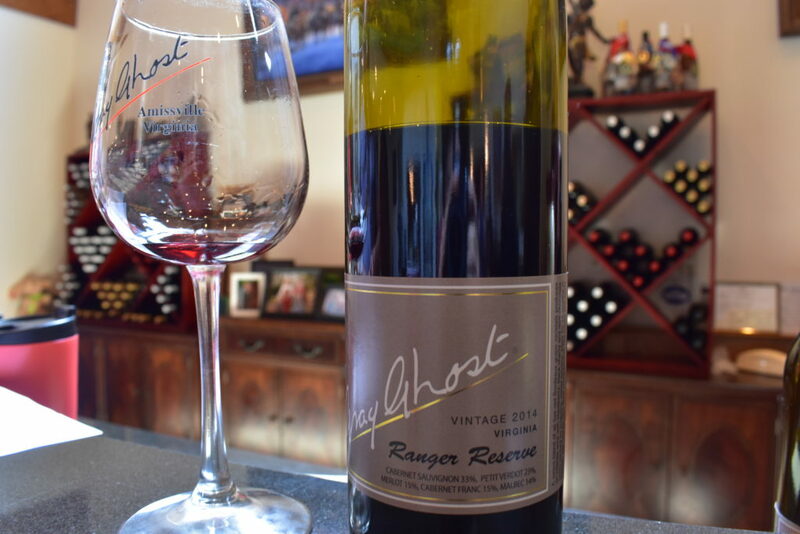 2014 Ranger Reserve: I have a soft spot for red blends, and you will love the Ranger Reserve if you do too. 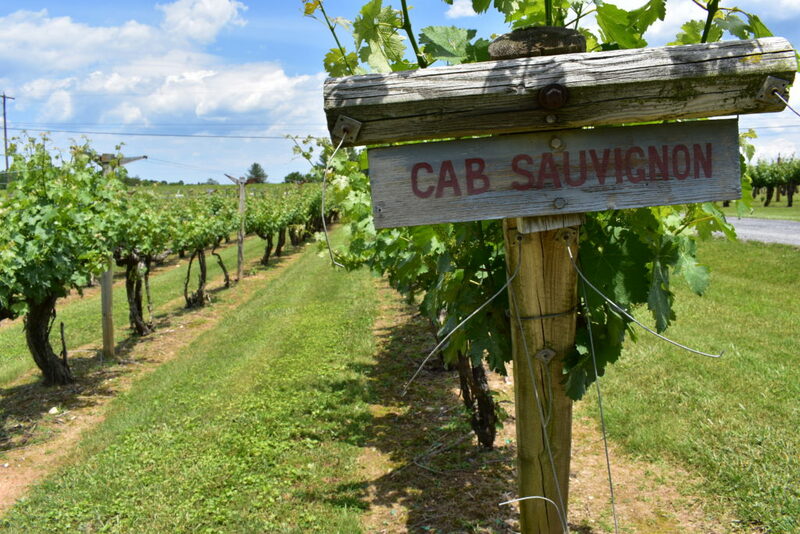 This blend was made up of Cab Sauv, Petit Verdot, Merlot, Cab Franc, and Malbec. 2014 Cabernet Sauvignon: I have had a love/hate relationship with Cab Sauv over the years. I want to love it, I know I should love it, and I have tried ones that I really do love. But I am still getting my feet wet. Between this Cab Sauv and our experimentation with bottles from Chile, I am slowly coming around. This is another Gray Ghost wine that I feel could stand up to a California equivalent and do well if not better. Full of dark fruits, leather, and chocolate. Side note: they let us have a small tasting of the 2013 Reserve Cabernet Sauvignon and it is DELICIOUS. 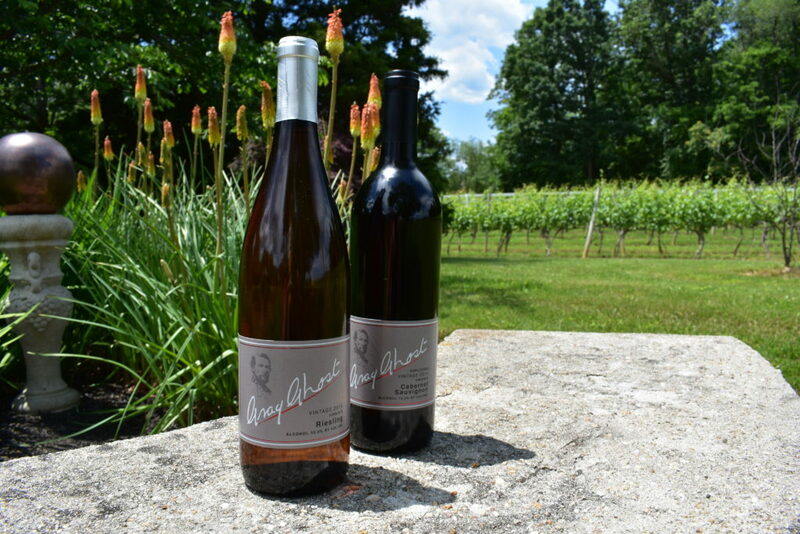 This is the wine that the owners are able to boast vines that are 30 years old. If you are looking to splurge on a great bottle of Virginia Cab Sauv, let me recommend this one! 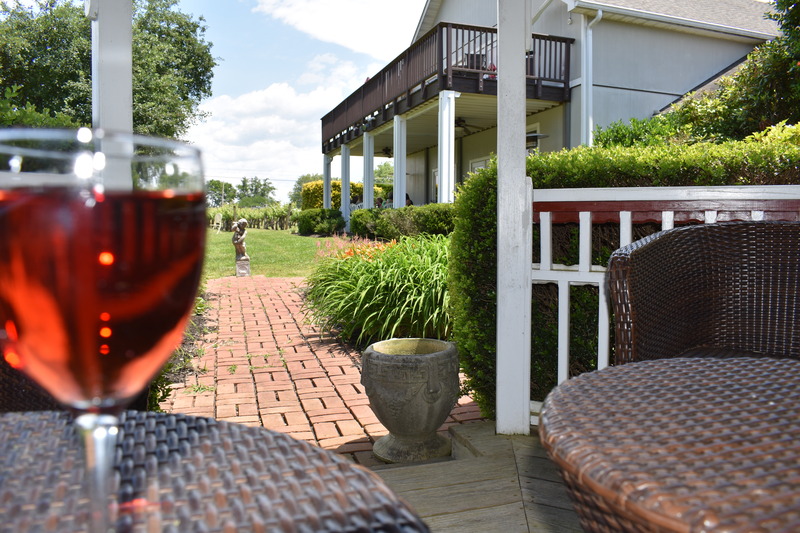 Victorian Red: This is a rose-style, semi-dry red that would be a good introduction wine for white-only drinkers. But any red wine drinker would be more than happy to open up a bottle of this on warm summer day. I have a soft spot in my heart for rose-style wines, especially ones like this that could pair well with whatever you are having. We wanted to buy several bottles to add to our collection, but we managed to stay frugal. After the tasting, we settled for a glass of the Ranger Reserve and Victorian Red, and a bottle of the Riesling and Cab Sauv to bring home. Here’s where the magic happens! To fully appreciate the wine, wander among the vines. Usually for me this consists of good ambiance and scenery, and Gray Ghost has no shortage of that in their outdoor areas consisting of the garden, patio, and surrounding hills of vines. 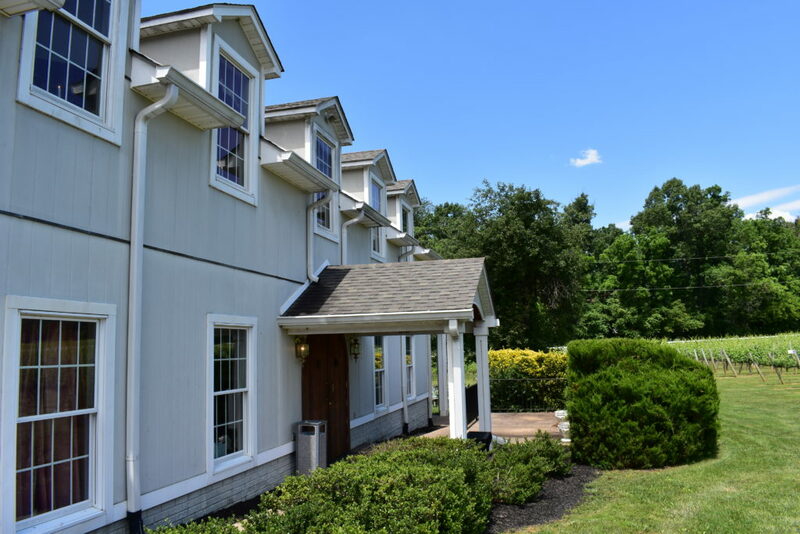 Not visiting Gray Ghost in the warmer months? No problem! They have the Mosby Lounge above the tasting room that has been tastefully decorated where you can enjoy your wine in warmth. In fact, we plan to come back here during the winter specifically so we can spend a couple of hours in this room! 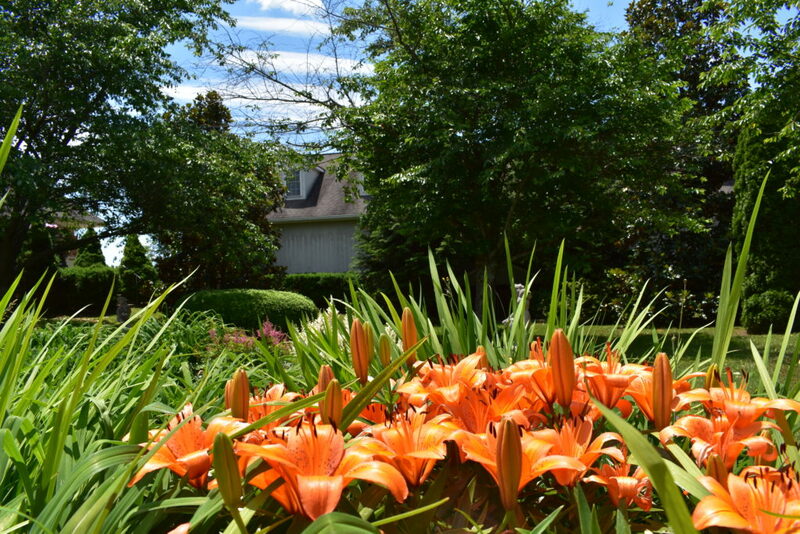 But if you are visiting on a day with pleasant weather, you can’t beat Gray Ghost’s garden. 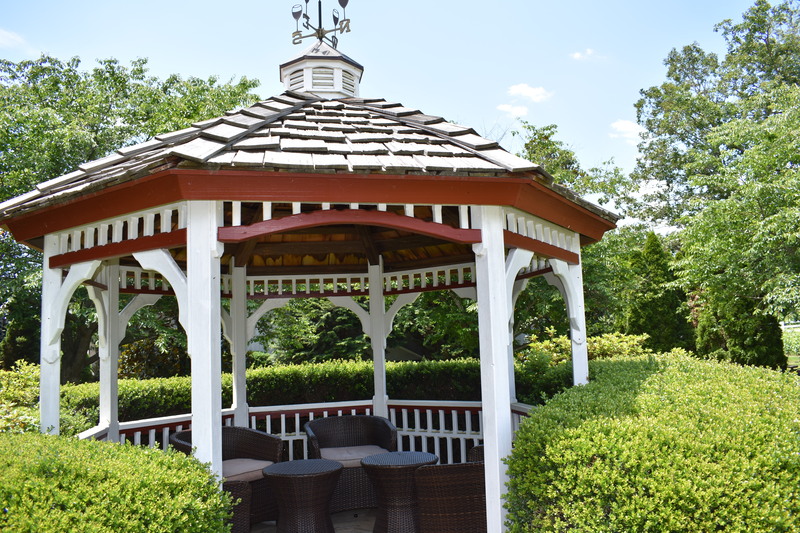 I love the furniture they chose for the outside seating. 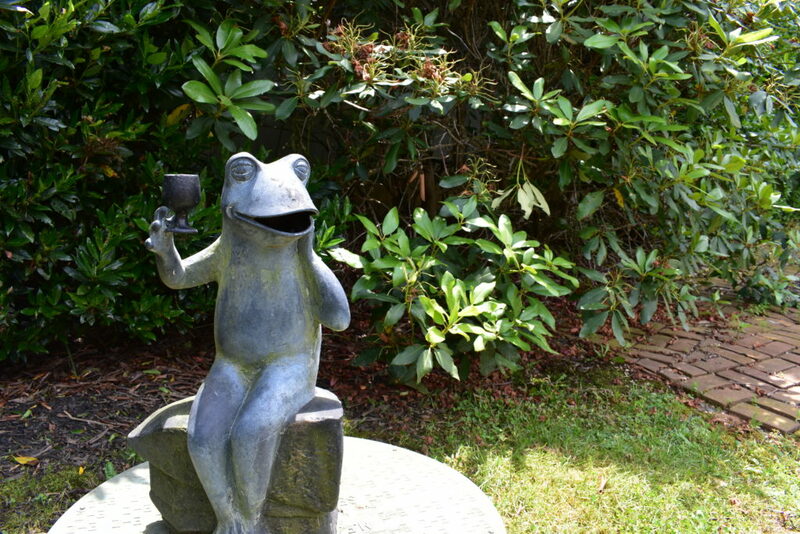 It reminds me of something you would see in an English garden party. Not a bad view. Hiking can definitely wait. Time cannot be wasted in such an appealing place as this…don’t you wish you were here right now? 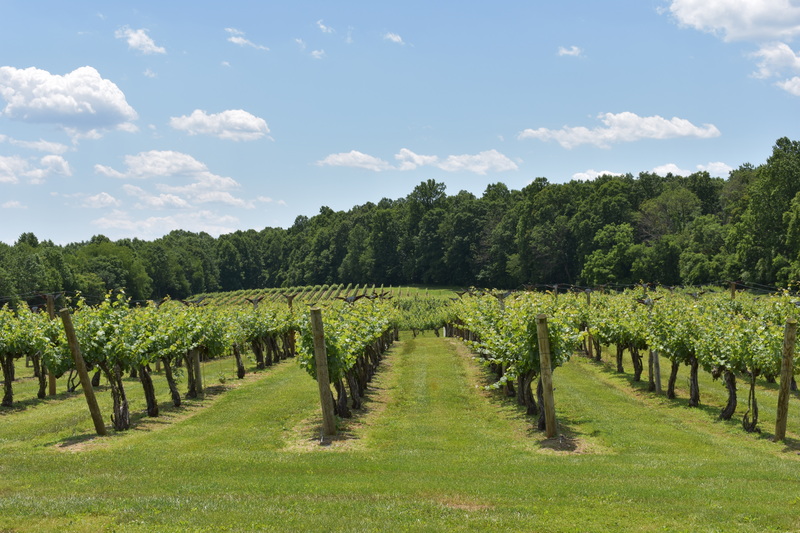 Gray Ghost quickly rose to one of our favorite Virginia wineries for its quality yet affordable wines, history of commitment to a producing a distinctive product, and their captivating landscape. 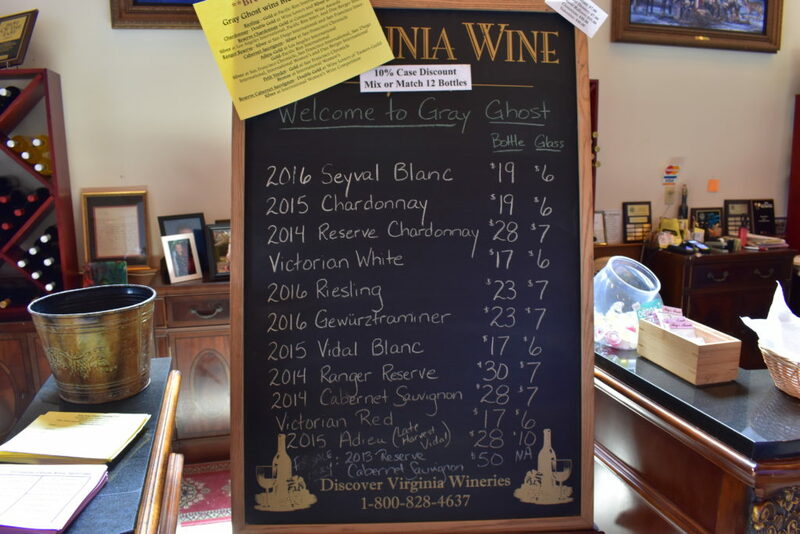 Gray Ghost could easily be combined with a day trip to Shenandoah or to one of the several other vineyards in the area. If not, I think that Gray Ghost could be worthy of a trip all on its own. 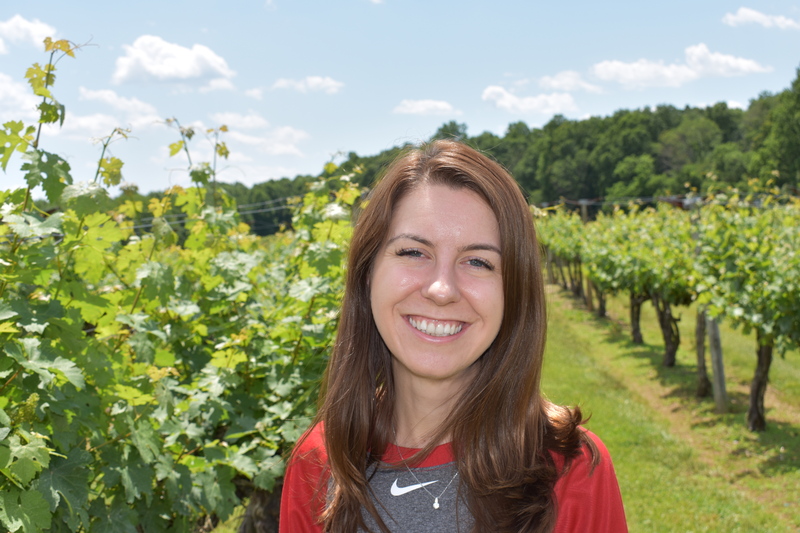 I was tempted to take some artsy photos amidst these vines, but we were in our national-park-wear and not winery-wear. So we settled for a few pictures to remember the view. Next time! We did eventually did go hiking, just a little later in the day than we had anticipated. I hope you will soon be enjoying the hospitality of Gray Ghost! 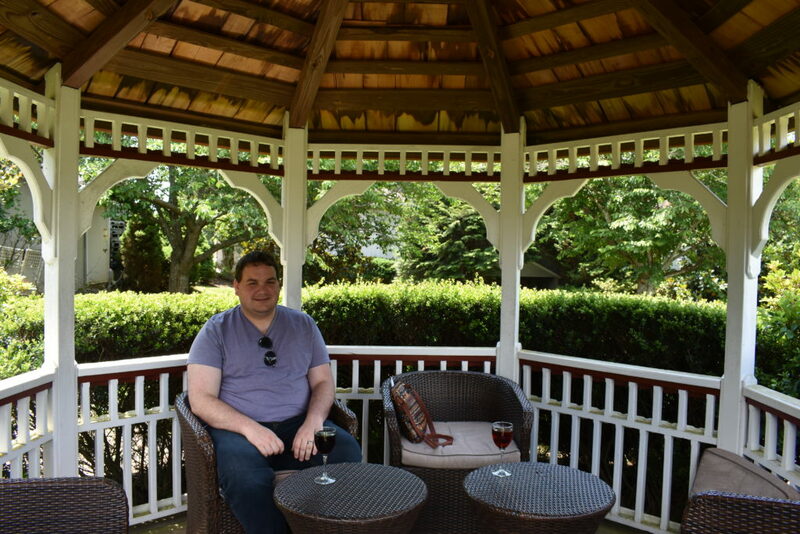 I know that we will back soon to enjoy their charming scenery and excellent wine. Cheers! Have you visited Gray Ghost? 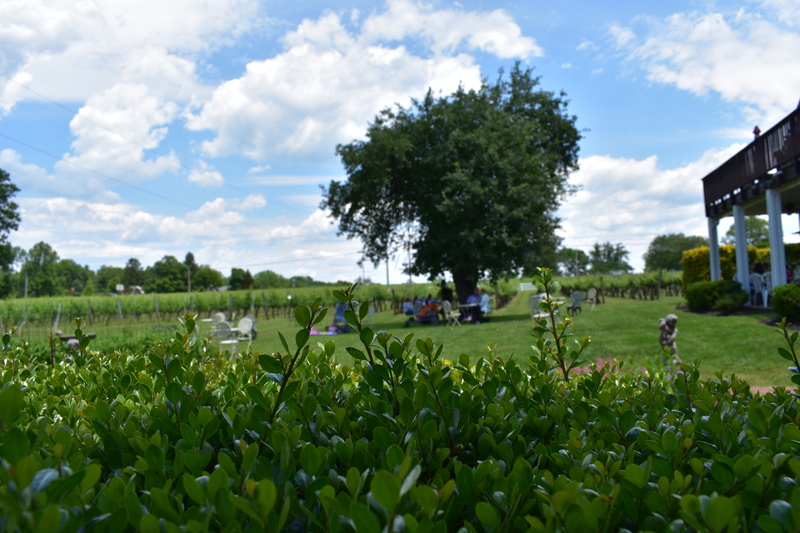 What are some of your favorite Virginia wineries? Leave me a comment below!